For those who are unsure about painting an entire piece of furniture, or don't want to fully commit to it, the "dipped-painted" look is ideal. And it's made a surge in the design world in recent years. What do you think of this trend? 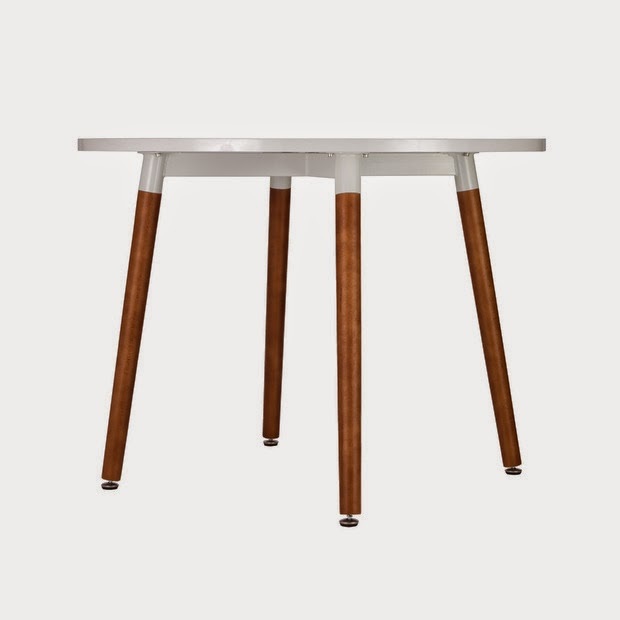 This table from Dot & Bo looks more interesting with the "reverse" dipped effect. The tabletop is actually painted while the legs are kept in the original walnut. 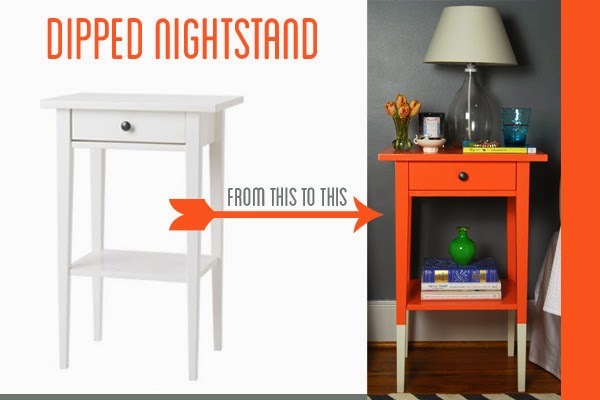 If your furniture piece has solid wood legs, but perhaps a veneer top, this is a great option. I always hesitate to paint real wood. Ikea furniture seems to be a popular candidate for DIY projects. The furniture comes at a budget-friendly price point, and the clean Scandinavian lines make it ideal to customize. The dipped-painted trend has stayed the course for a few years. I think it's worth the try if you want to update the look of something you already own. It doesn't require a big investment in time or money, and it's a great DIY project for the novice DIY-er. Plus, it's easy enough to "undo" if you change your mind. Design Tip: If you have an antique or heirloom-quality piece of furniture in need of sprucing up, I wouldn't recommend this technique. I think you're best off getting it refurbished and bringing it back to its original glory. Of course, the dipped-paint trend is not limited to furniture. 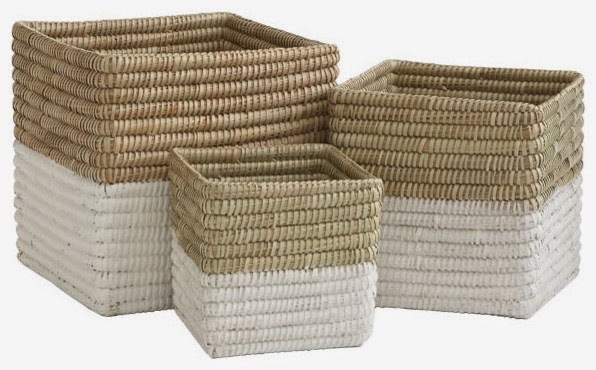 It's a fun look for home accessories too!